You may recognise John from our Skintervention video. Here, you can learn a little more about him. John is a teacher from Carlow. He had heard of melanoma before he was diagnosed with the disease but was not overly concerned that it might affect him. He did not think that he would be prone to the disease since he his complexion was not too pale and he did not like sun bathing. He had never used sun beds. Looking back, John says he regrets not taking better care of his skin but says that it never dawned on him that the sun was causing his skin and damage. John says, “I feel really lucky that my brother saw the mole on my ear as I would not have been able to see it myself in the mirror. He made me aware of it and said it looked funny and that I should have it looked at by the GP. I went straight away and the GP agreed that the mole did not look right and so I had the mole removed. John had to have an operation to remove a piece of his ear to ensure that all of the melanoma was removed from his body. The medical team was keeping him under close supervision and in follow up checks, it was discovered that John had a benign tumour on his hip, which led to him having a hip replacement. 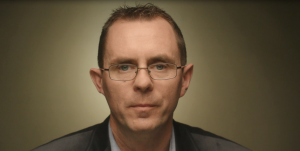 If John had not had the melanoma discovered on his ear, this hip tumour would never have been discovered and his prognosis could have been more serious so he considers himself very lucky. 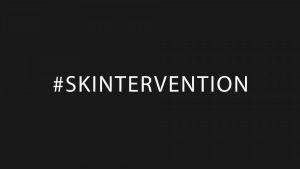 John is helping the Marie Keating Foundation with its #Skintervention campaign as he wants people in Ireland to know the importance of getting to know their skin and checking it regularly. He is helping to spread the message that one important way to check your skin is to monitor your moles and freckles for the ABCDE signs of melanoma.